Students at Blackburn Middle Laboratory School get ready to prepare garden soil for planting. Jackson State University’s Center for University-Based Development helped spearhead the project with the Jackson Public School. Blackburn students work together to make sure their project is a success. After caring for the garden for several months, student show the results of their harvest. A Blackburn science instructor also said the project helped improve grades and attitudes. 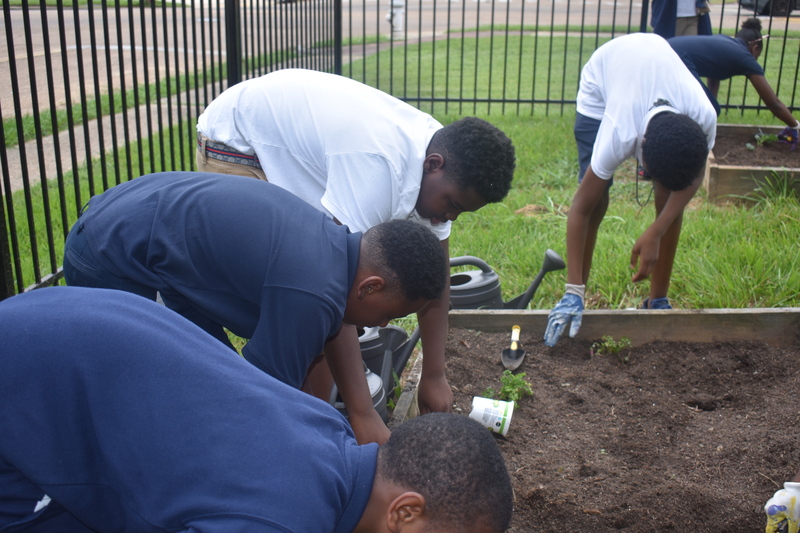 JSU’s Center for University-Based Development (CUBD) has partnered with Blackburn Middle School for its learning garden. 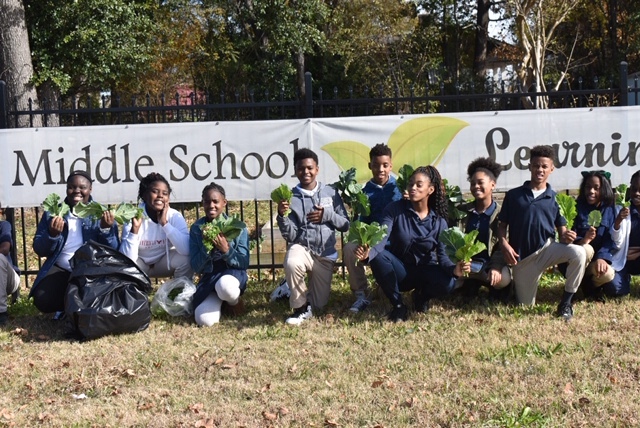 Students package greens they harvested from their garden. They spent months watering the crops and clearing weeds. 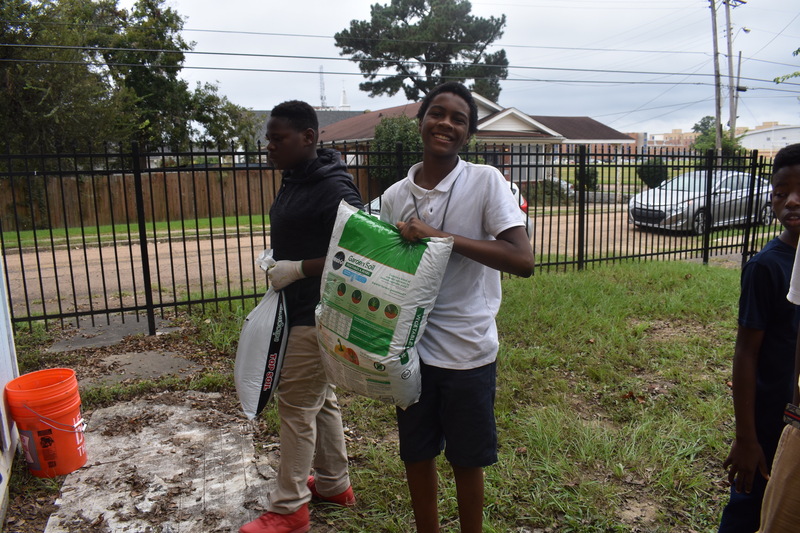 The Jackson Public School wanted to learn about gardening, so CUBD and the community decided to lend a helping hand by working with Blackburn principal Dr. Laquanta Nelson, who fully supported the effort. 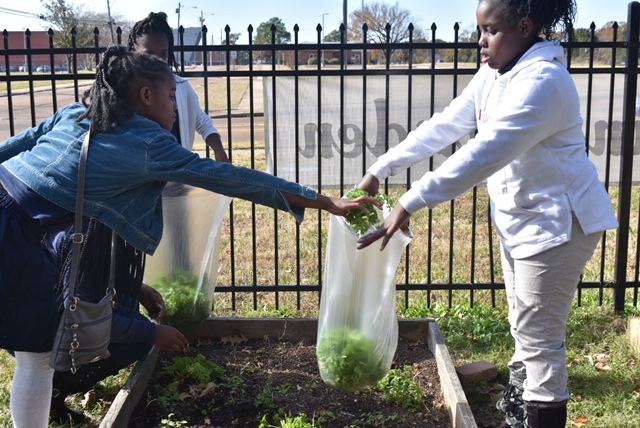 Heather Wilcox, assistant director of CUBD, said her JSU organization led the project, which involved planting vegetables for a fall harvest: collard greens, mustard greens, broccoli and parsley. “The garden started a couple years ago. It’s on land the university owns,” Wilcox said. Students worked the garden over a number of months, watering the crops and clearing weeds from Monday to Friday. 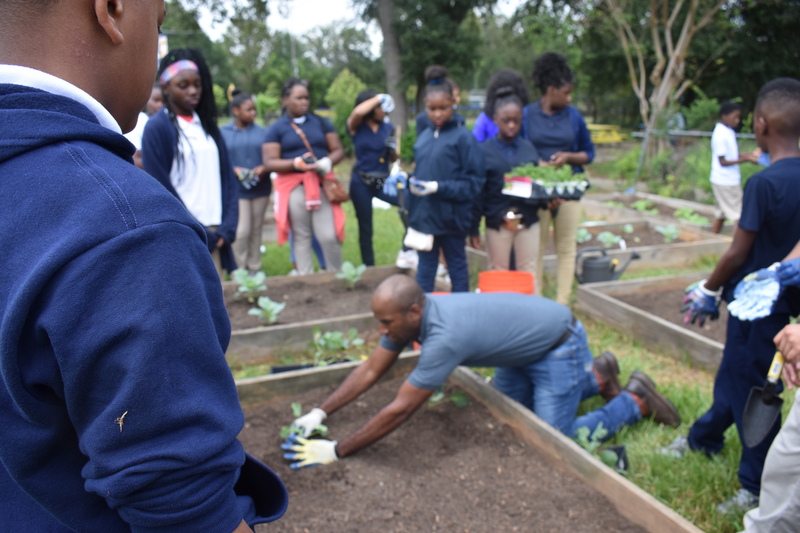 Youth were accompanied by science teacher Belon Jones, who routinely escorted them to the garden for hands-on experience. 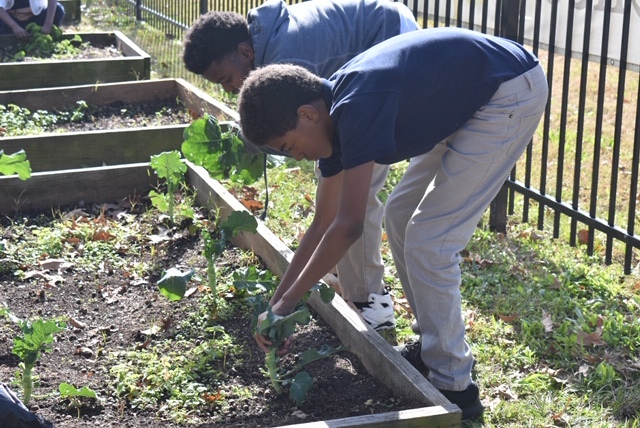 In early October, youth planted collard greens and mustard greens. “Because they did such a good job, the greens grew earlier than we anticipated and were harvested weeks ahead of schedule,” Wilcox said. Because of the garden’s success, the Better Together Commission recently provided a $2,500 grant to help with sustainability of the garden and to pay for a gardener to harvest the vegetables. Jones said the project has had other benefits, too. Now, Wilcox envisions hosting a “greens cookout,” with students creating recipes that will be judged based on taste. Students gather some of the greens planted by their peers. Eventually, a taste test will be held during a cooking competition Dec. 14. A gardener teaches students the proper way to plant crops.